Feeling much better after a good night’s sleep, we were up early the next morning, and set off back towards the S46. 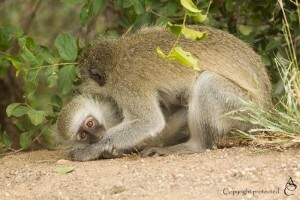 We had not been able to travel very far up it the previous afternoon and we wanted to go and explore it properly. 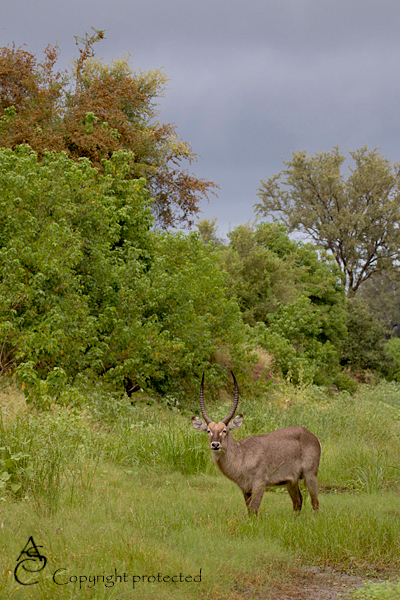 It was still overcast, but the beauty of the bush around Letaba after the rain of January was astonishing. We found ourselves not even caring if we saw any wildlife – the beauty around us was enough! I think I will always associate this trip with stunningly beautiful river crossings. (And this trip report will probably be remembered for the over-use of the word “beautiful!”). 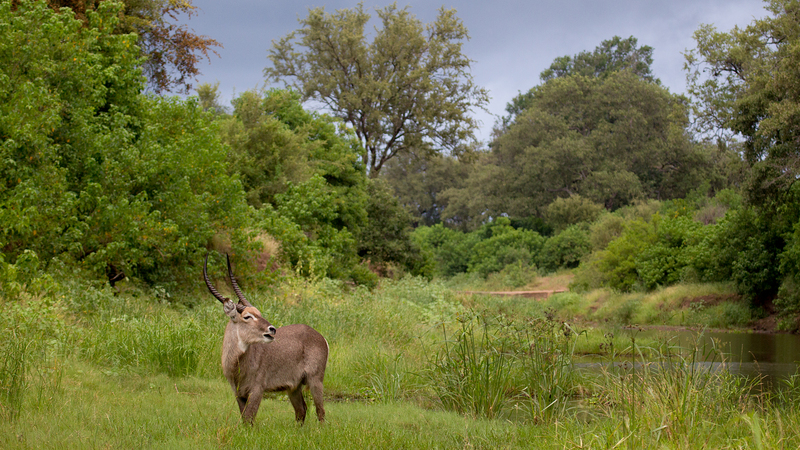 This first of these river crossings this morning, where the S94 crosses the Nhlanganini river, was occupied by a lone water buck bull, exactly the element that we needed to make such a pretty picture complete! 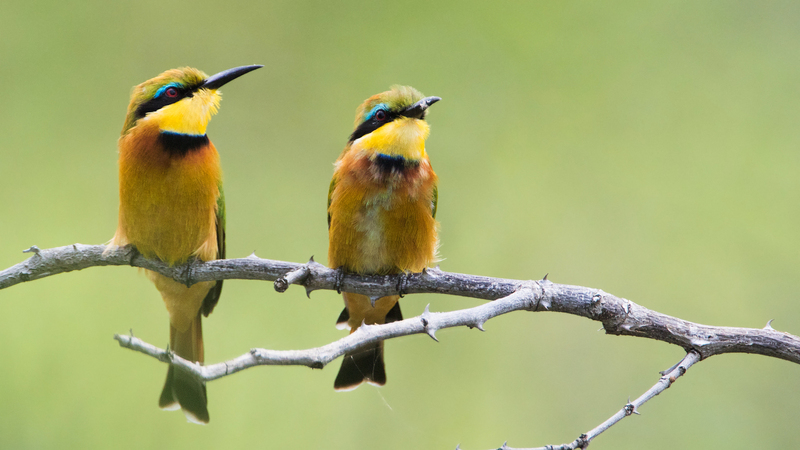 We idled along slowly, ticking off more bird species (Grey Heron, Cape Turtle Dove, White-faced Whistling Duck and Crested Francolin – bringing the number to 56). 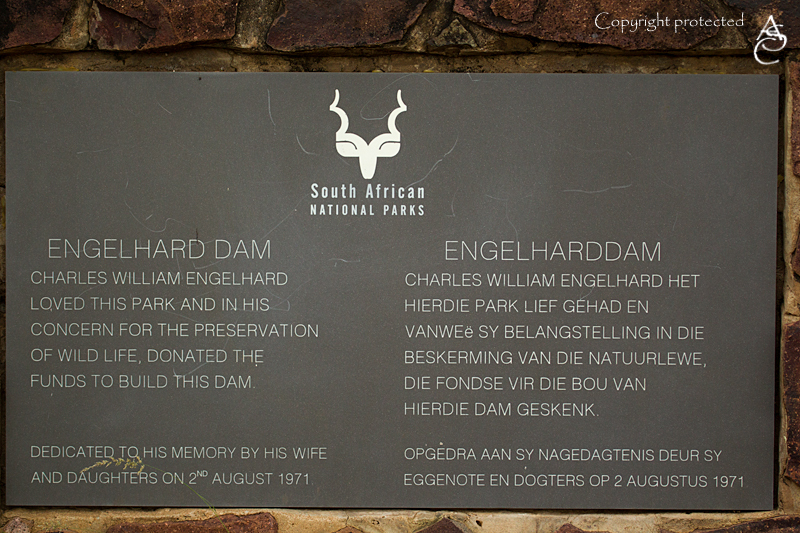 We stopped at the dam wall to read the plaque with a brief, but interesting history of how the dam got it’s name, and then drove further along the bank of the Letaba river. 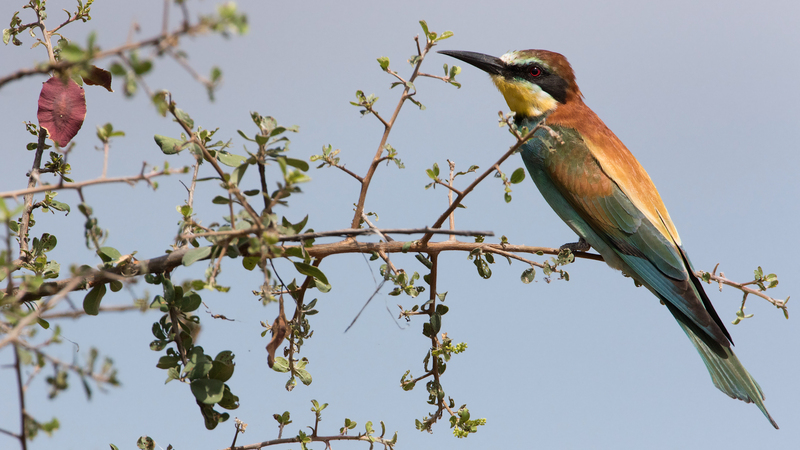 In a clearing on the riverbank, we spotted a pretty Little Bee-eater on a dry branch (Specie number 57) and not long after, it was joined by a juvenile. 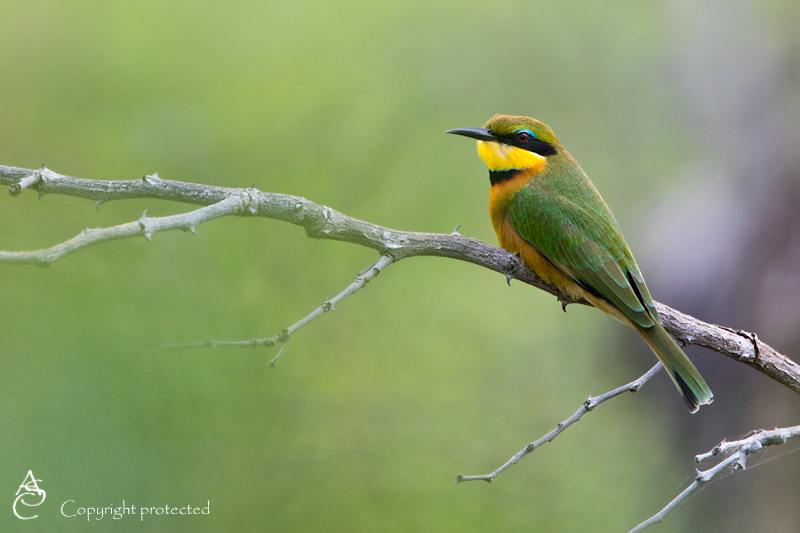 Since the clouds had thinned to let in some soft, gorgeously filtered sunlight, we sat happily photographing these little beauties for a while. 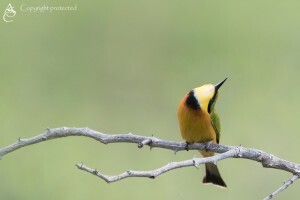 A short distance further, in another clearing next to the river, there was an entire flock of European bee-eaters, diving and hunting and generally putting on a show. Unfortunately the clouds had lifted too much by now, rendering the light too harsh for genuinely good photos. 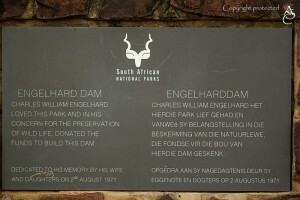 Since we had by now gone quite far down the s46, we decided that we might as well continue on to Olifants camp. 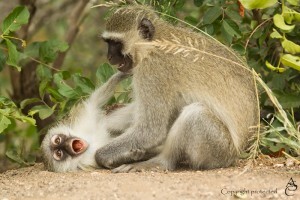 The drive to Olifants was rather uneventful. A strong wind had come up, and so even birding was slow-going. 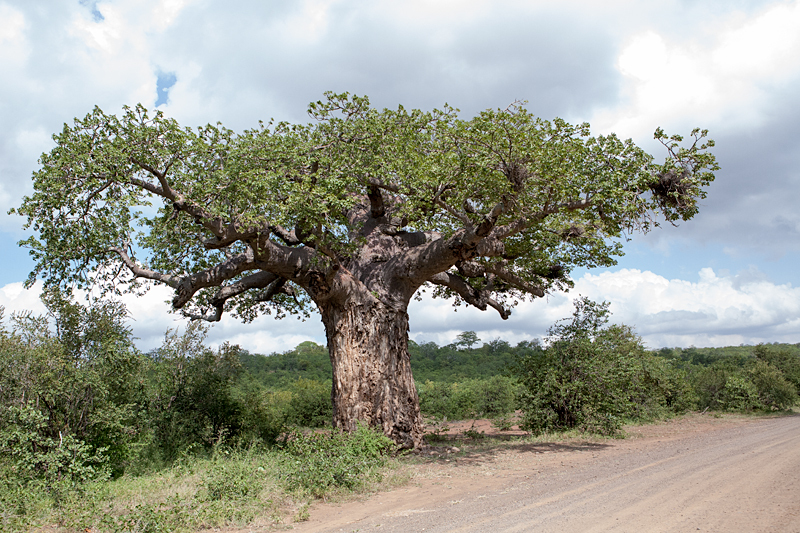 We only ticked off one species – Red-backed Shrike (Number 58), and paused at Von Willich’s Baobab for a quick photo. 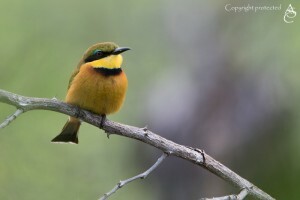 At the camp, we ticked off two more species in the parking lot – Red-winged Starling and Burchell’s Starling, bought ice-cream and went to eat it out on the viewing deck, and one does at Olifants. But the wind – oh my! The viewing deck was rendered quite unpleasant, and even the ice-cream melted too fast. 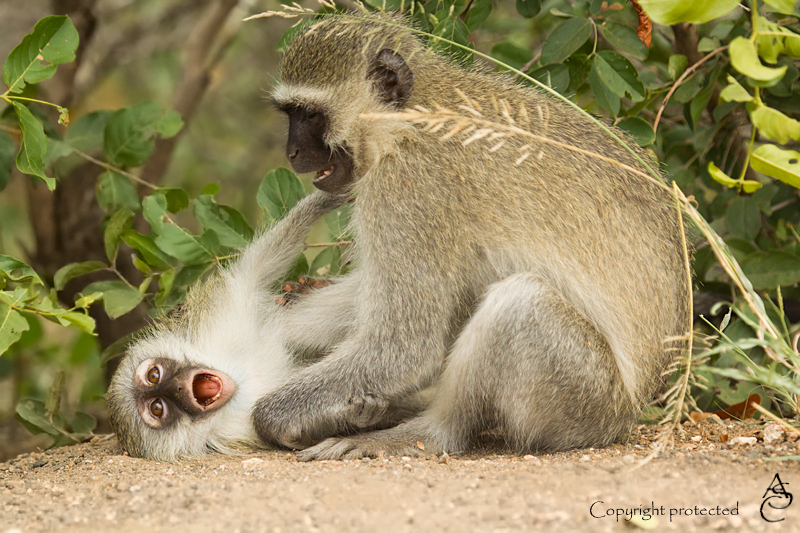 So we left again fairly quickly, and drove towards the N’wamanzi lookout. The view from N’wamanzi is always spectacular, and the wind here was much lighter than at the camp, so we spent a few minutes eating mini-cheddars and enjoying the view. 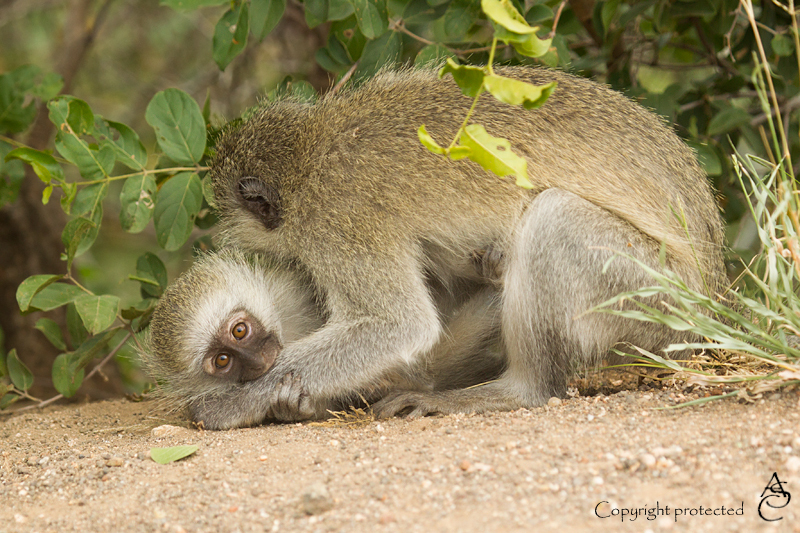 As we stood looking, we noticed two young Vervet Monkeys playing in the bushes on the edge of the clearing. 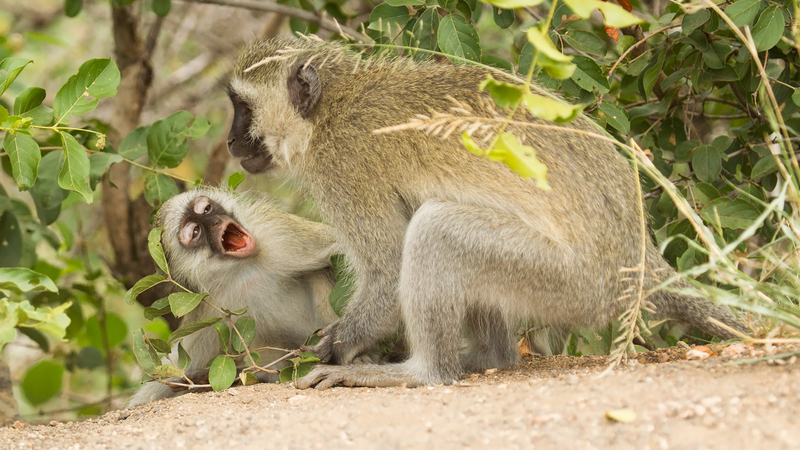 Baboons and Monkeys are always lots of fun to photograph, and the light cloud-cover had increased again, rendering the light quite reasonable for photography, so we reached for our cameras, and had some fun. By now it was well into the afternoon, so we took the tar road back to Letaba. 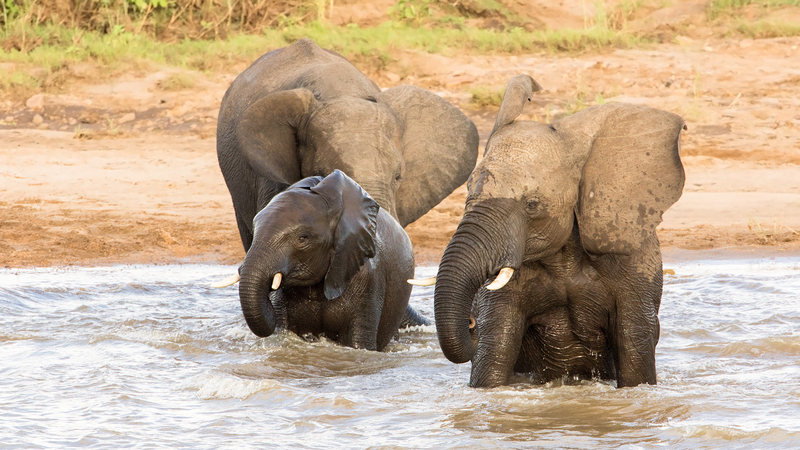 We still had a little over and hour till gate-closing time when we got to Letaba, so we passed by the camp, said hi to the Marabous roosting in the trees, and photographed some elephants having fun in the river. 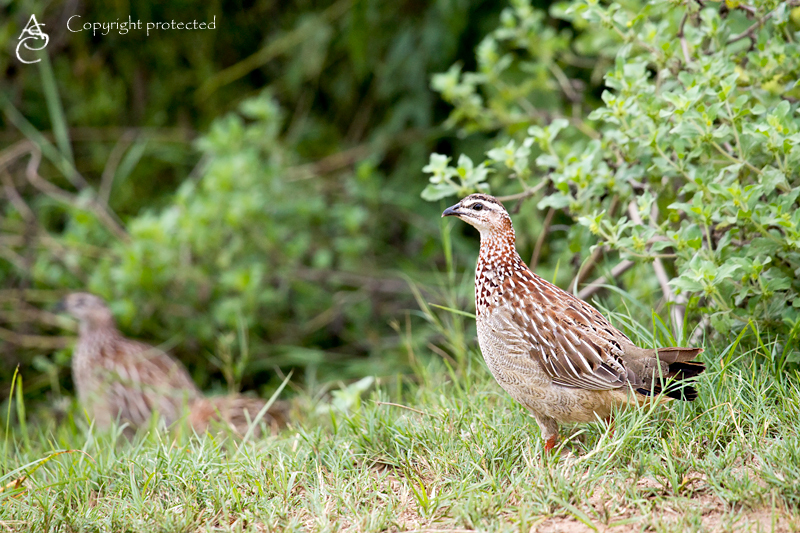 Only 9 species to go to our target! 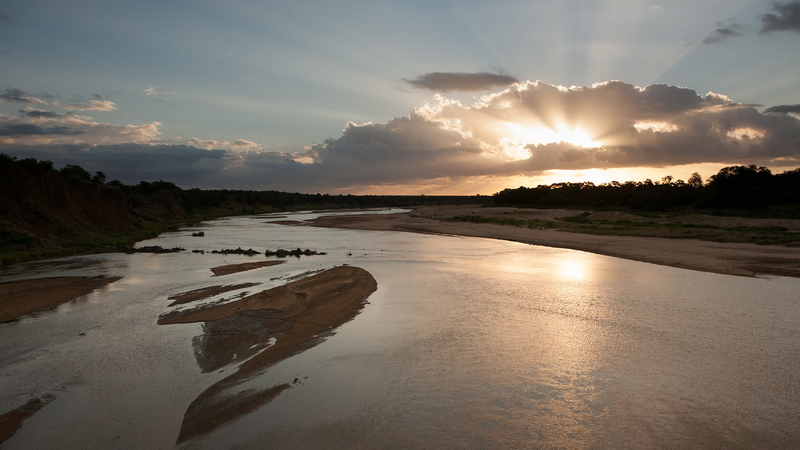 We ended the day with a gorgeous sunset from the bridge over the Letaba river, before heading back to the camp to light the braai fire.